Rhonda W. Sides, Principal for Healthcare Services, Forensic/Valuation and Litigation Support Services at Crosslin, has been named to the 2015 HealthCare Heroes in the HealthCare Professional Services category. 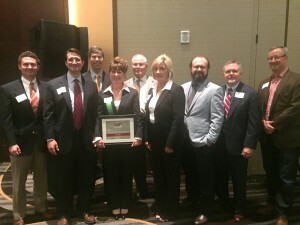 The Nashville Business Journal made the announcement at a recent luncheon, where Rhonda was joined by colleagues and customers, and the article appears in this week’s edition of the NBJ. This is the second time Rhonda has received this accolade. The Crosslin team is extremely proud of Rhonda and all she does for our customers. Way to go, Rhonda!